Hurricane Sandy hit the NY Aquarium hard. Located right along the water they had a lot of their exhibits flooded, buildings destroyed, and underground passages devastated. Because of that they couldn’t justify their $20 admission anymore and had to drop down to $13. All this on top of a $13 parking cost. But even that is too expensive. Now I understand that they need to raise money for their repairs and new “Sharks” exhibit set to open in 2018, but to charge as they are is inexcusable. When you walk in the main building (the only building) has a giant tank filled with fish, and then 7 smaller tanks, spanning different areas (such as Africa or Brazil, and the fish from that area). You then leave the main building and have four outdoor exhibits (Walrus, Sea Lions, Sea Otters, and Penguins). Lastly you have a Shark tank, filled with murky water/scratched glass, making it hard to see into. They have a sea lion show twice a day (included with admission) that hasn’t been updated in years, and still plays Crazy Frogs “I Like To Move It” from 2005. They also have a “Touch Pool” which has starfish…and I’ve never experienced it open since Sandy, as it always seems to be “Out to lunch” or just plain “Closed”. I went yesterday, and they had a larger discount (down to $11), and for this price you couldn’t get close to the main tank (due to construction), or see it from the upstairs viewing area (construction). The Walrus’ were off display, and the Penguins were nowhere to be found. As usual, the touch pool was “seasonally closed”. 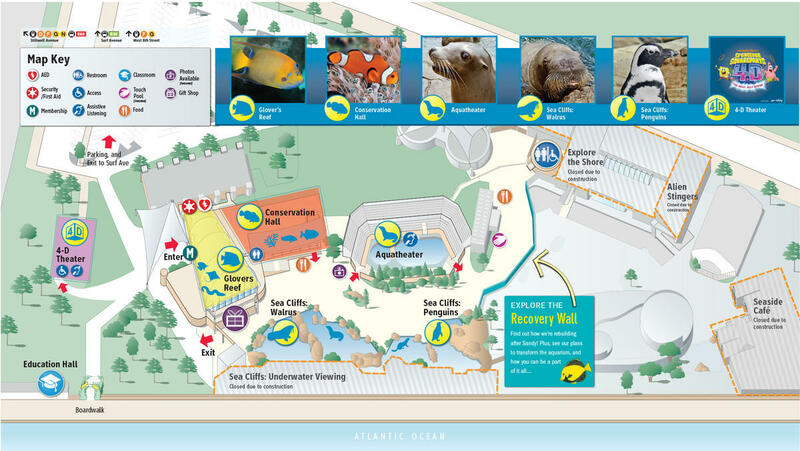 I do like that if you browse their map, they add on a “Explore The Recovery Wall”…this is what they call the construction barrier, on which they have included two or three paragraphs about Hurricane Sandy and he work they are doing to rebuild the sharks exhibit. By far, the biggest waste of money experience for a family in NY. And yes, that includes Top of the Rock. 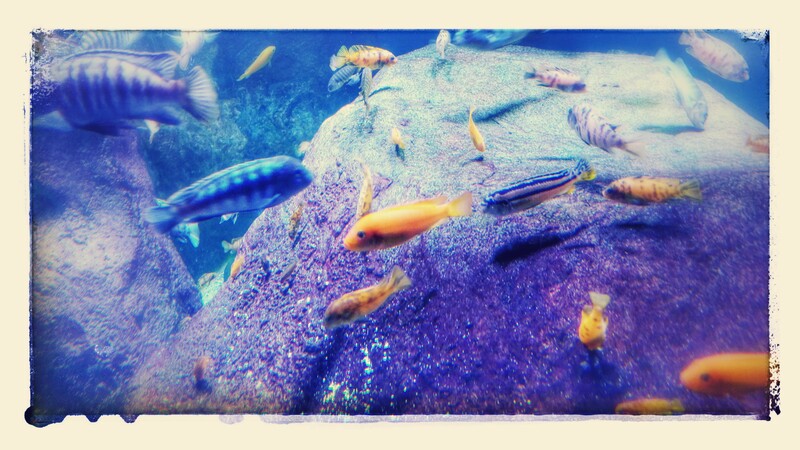 Meanwhile: Enjoy a picture of some fish. You can send me the check for admission and I’ll share all 20 pictures/videos I took yesterday of the entire aquarium. Without needing to leave your house.